This homeowner was hoping for a serene, spa like bathroom. 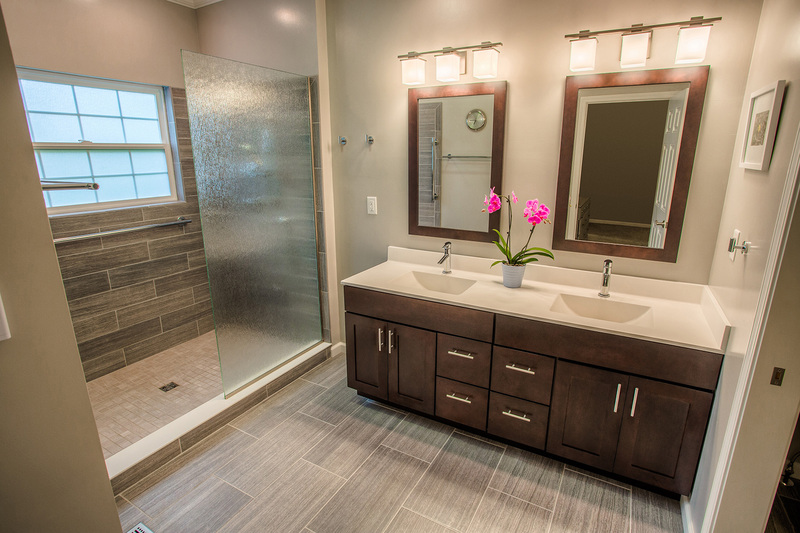 Riverside Construction started this remodel by removing the existing fiberglass shower unit and built in tub and replacing it with a large modern glass shower enclosure and much needed shelving. To complete the spa like feel, 12″ x 24” aggregate flooring with in-floor thermostat controlled electric heat, a cultured marble double bowl top with integral sinks and custom framed mirrors were installed.